In the wake of GOP Gov. Scott Walker's pledge of $4.5 million in aid to Milwaukee's job-depressed north side after violence there two weeks ago, I noted on this blog that Walker in 2010 campaigned against and helped forfeit federally-funded Amtrak rail line expansion work worth more than $800 million which included train assembly and maintenance work underway and targeted at low-income north side Milwaukee residents. I also wrote several posts - - one summary, here - - pointing out that Walker has long been a champion of spending more than $6 billion on the freeway system in the Milwaukee area which keeps the region heavily segregated by race and income by routinely omitting transit upgrades that could help Milwaukee workers in a city land-locked by state law connect with jobs and other opportunities in the suburbs. * From his legislative perch, Walker sided with other suburban politicians and killed and helped kill a light rail system in Milwaukee that would have provided construction work, plus housing and business development at stations and along the rail corridors - - a job-creating phenomenon which has occurred in other cities when light rail was built and expanded. 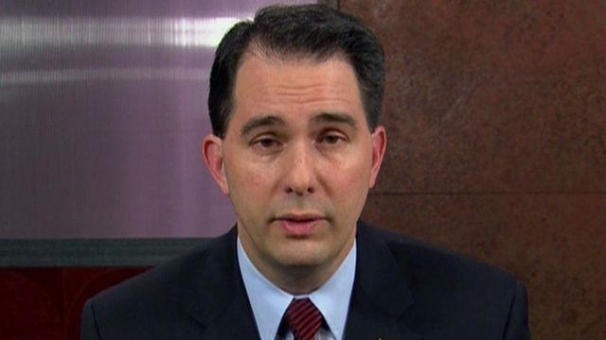 Years ago, Walker promised his handlers on local right-wing talk radio programs that he would stand rigid with them against rail - - in an anti-urban stance that earned him the nickname "Scott Waukesha." That transportation package did not produce urban rail of any kind, thanks to the stonewalling by Walker and his talk radio lieutenants - - but did lead to the rebuilding of the Sixth St. Bridge, the removal of the Park East Freeway spur, the construction of the Lakeshore State Park just off the Summerfest grounds, and the provision of seed money that jump-started the Marquette Interchange project. "Building a limited light rail system could cost as much as $180 million. Diehard light-rail opponents, such as Waukesha County Executive Daniel Finley and state Rep. Scott Walker (R-Wauwatosa), immediately objected to spending any of the money on a rail transit system. Walker said he would be willing to sacrifice everything else in the package to stop light rail, because he fears the system would be expanded at taxpayers' expense." * The County had an economic development office into which Walker inserted Tim Russell, a long-time campaign gofer and and county staff aide, as the $83,000-a-year assistant manager. Walker tried to get the Milwaukee County Board of Supervisors to appoint Russell as the top economic development office administrator, but supervisors balked, so Walker created yet another job for Russell - - managing, against county ethics officials' advice - - a non-profit veterans organization embedded into county government. Russell later pleaded guilty to stealing from that organization and went to jail in the so-called John Doe I prosecution which used evidence seized from a secret email system Russell helped to install in Walker's county executive office suite. See this outstanding summary by David Umhoefer, a Milwaukee Journal Sentinel Pulitzer Prize-winning investigative reporter. * When asked twice during a 2010 gubernatorial debate with challenger and Milwaukee Mayor Barrett, Walker could not name a single job he had created in Milwaukee's central city. Obviously, it was not his priority. Getting elected Governor was. I did find work for Tim Russell. Walker's vision for successful mass transit? Everybody has a car!